I love Eggplant Parmesan, but I never had a desire to make it for myself until I actually hand-picked some eggplant during a recent media event with Red Barn Farmstand. It turned out so yummy, and surprisingly, my kids ate it up! Well, it helped that I didn't tell them that eggplants were in their meals. In fact, they thought the eggplants slices were "weird meatballs!" Dip eggplant slices in egg, then bread crumbs. Place eggplant slices in a single layer on a baking sheet, and bake for 10 minutes, flipping halfway through. In a 9x13 baking dish spread spaghetti sauce to cover the bottom. 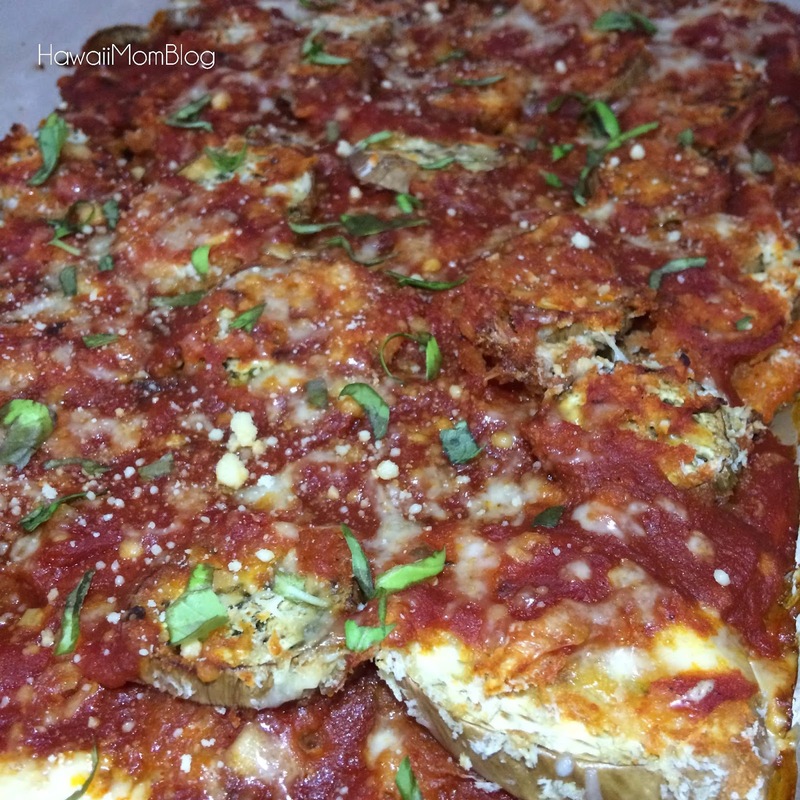 Place a layer of eggplant slices atop the sauce and sprinkle with cheeses. Repeat the sauce, eggplant, and cheese layers, and sprinkle with torn basil. Original recipe here on Allrecipes.com.